The Colombia elections 2018 are down to a final two candidates, after the first round of voting failed to decide a clear winner. 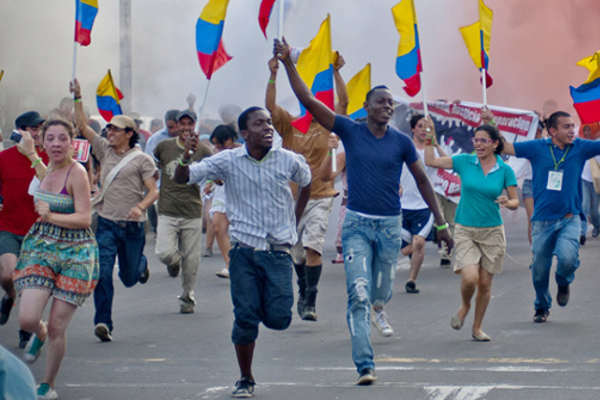 Colombian citizens will return to the ballot box on June the 17th to elect either right wing senator Iván Duque, or left of center candidate and former mayor of Bogota, Gustavo Petro. Iván Duque is a first term senator who was elected to the senate after returning to Colombia from Washington D.C, where he spent ten years working for the Inter-American Development Bank. He is a traditional right wing conservative with strong security and pro-business policies. A vocal critic of the FARC peace deal, he vows to rewrite the agreement with the intention of punishing some former FARC members. He believes the FARC were treated too leniently. Gustavo Petro is an anti-establishment former M-19 guerrilla with socialist tendencies. He has built his campaign around the fight against corruption, and his separation from the elitist ruling classes appeals to some sections of the electorate. 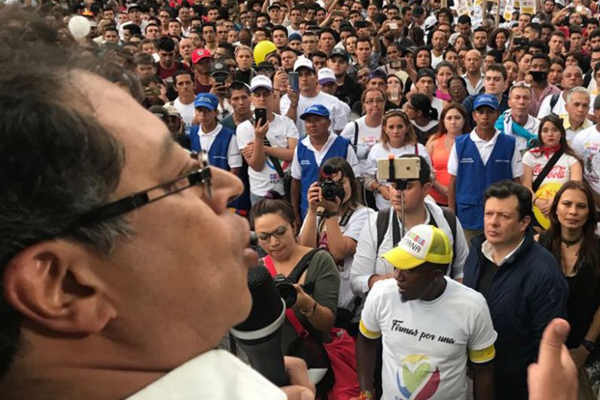 The independent candidate vows to uphold the current peace deal with the FARC, and has radical ideas on the war against drugs, and social issues in Colombia. Colombian tourism has experienced a boom in recent years, with incoming foreign visitor numbers increasing by 300% since 2006, 70% of which were tourists. The upcoming election could be make or break for the industry. Any breakdown in the security situation would see a regression in tourism numbers. Duque has said very little about tourism directly, but a Duque win is expected to be a continuation of the current stability and status quo. With certain street level crimes increasing against tourists, his anti-crime stance could strengthen the rule of law on Colombian streets, making Colombia a safer prospect for global travelers. However, his opposition to the peace deal maybe be harmful to the wider security situation. Petro would represent a potential shake-up for the tourism sector, and possible instability. He has proposed a radical idea to reduce the market share of hotel chains (El Colombiano in Spanish), and transfer this business to the homes of Colombian residents using a home based hotel and accommodation model. This controversial idea has many critics in Colombia, and it is not entirely clear how Petro would implement such a policy. With a lack of support among the Colombian senate, if he is elected it would be an uphill struggle to get such controversial polices passed. It is radical ideas such as these that are causing many Colombians to fear another Venezuela situation or recession if Petro is elected. In the first round of voting Iván Duque received 39.1 percent of the vote, and Gustavo Petro finished second with 25.1 percent of the vote. Former Medellin mayor, Sergio Fajardo, finished third with 24 percent of the vote, which represented 4.5 million votes. Now Fajardo is out of the race, his votes could be decisive in the result depending on where these votes now go. 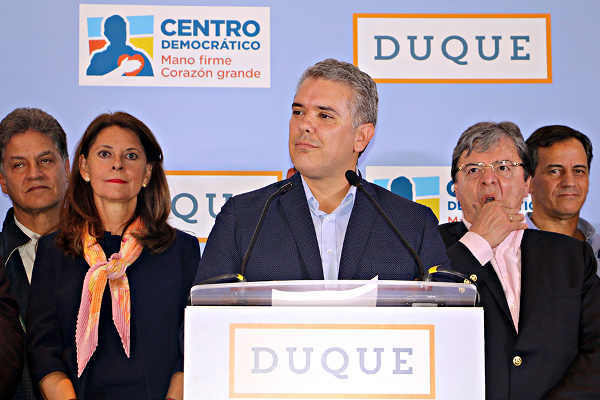 On Friday the 1st of June the Centro Nacional de Consultoria released a poll which has put Iván Duque ahead with 55% of the support, and Gustavo Petro trailing with 35%. Another key factor will also be voter turnout. Colombia has an average turnout of 50% of eligible voters. The first round of voting in May saw a 53% voter turnout, the highest number in 20 years. A marked increase or decrease in the voter turnout could have an impact on the result. With a conservative leaning electorate Iván Duque is the favourite to win the election as things stand. He is pro business, a protege of former president of Alvaro Uribe who is still a popular figure in Colombia and he is seen as a positive influence on the economy. Despite his anti-establishment popularity, Petros M-19 background is a negative for many citizens. Colombians may not want the potential turmoil Petro possibly represents. The evidence suggests a Duque win, but as we have seen in recent global elections, nothing is certain. Are you a Colombian voting in the election? or an interested observer. Tell us what you think below.